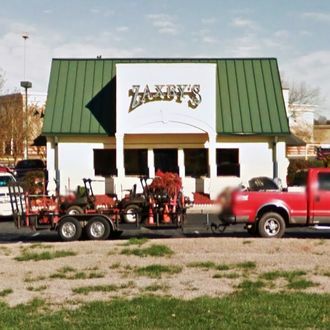 Two police deputies in Cleveland County, North Carolina, were reportedly mistreated at a location of chain restaurant Zaxby’s. The wife of one of the officers, who wishes to remain anonymous, wrote in a Facebook post that “the boys in the back cooking the food started yelling at them and calling them names.” While she says her husband and his partner ignored the insults from the cooks, it didn’t stop there. According to her account, her husband realized upon sitting down that his wings were covered in “the hottest sauce possible on [his] wings – to the point where his food wasn’t even fit to eat.” Which is, well, not great. Cleveland County captain Joel Shores, who wasn’t at the restaurant, spoke to WBRC about tension between the community and officers in the wake of last week’s horrific killings, saying, “We don’t want to shoot no one. We don’t want to pepper-spray. We don’t want to Taser, that’s not what we wake up to do. We wake up to protect.” In response to the incident, Zaxby’s has committed to an internal investigation.